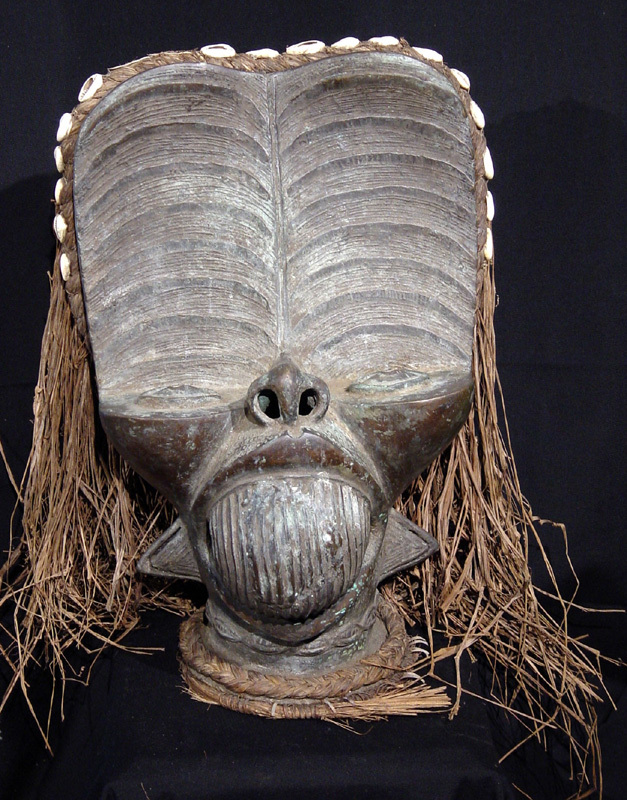 This striking BamilEke bronze mask is from Cameroon. It was made using the lost wax process. The piece is first sculpted in wax then encased in plaster with drain holes. When heated, the wax melts and drains, leaving a cavity which is then filled with molten bronze. The plaster cast is broken, removed and voila. It has been adorned with cowrie shells and raffia and will look great on a pedestal in your home or office. Size: 16" x 10 1/2" x 8"